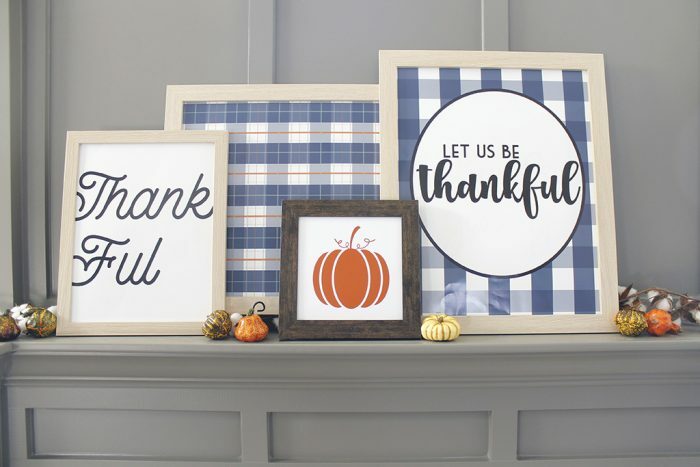 Decorating a Thanksgiving Fall Mantle will be so easy with these beautiful Thanksgiving Home Decor prints. These prints come in 4 different colors, so you can mix and match to create a beautiful mantle that is just perfect for your home. Everyone wants to have their mantle look like a professional styled it. Well, we are making that super easy for you. 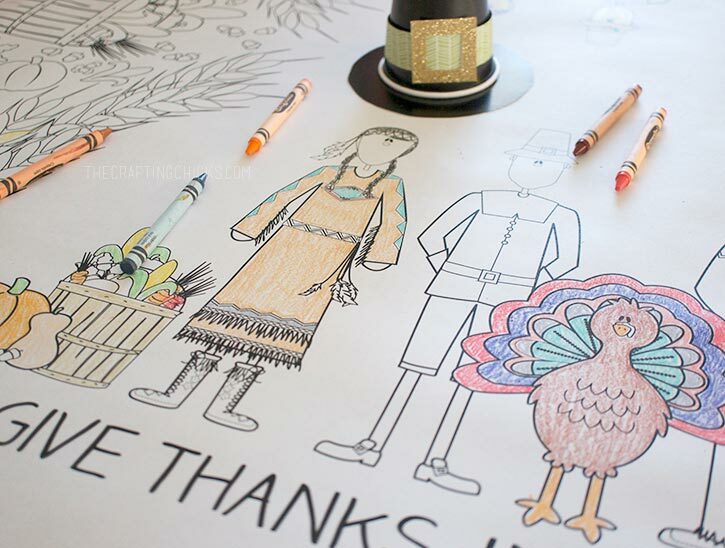 Say hello to our Thanksgiving Home Decor Prints. Our very own Nikkala, has designed 39 different prints in 4 different colors, to help you make the perfect Thanksgiving mantle. All these prints are available in our online printable shoppe. 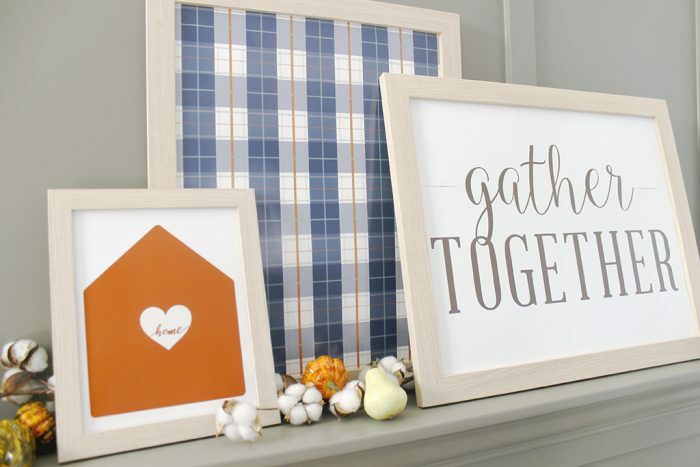 Here’s how simple it is to put a mantle together with our Thanksgiving Home Decor Prints. 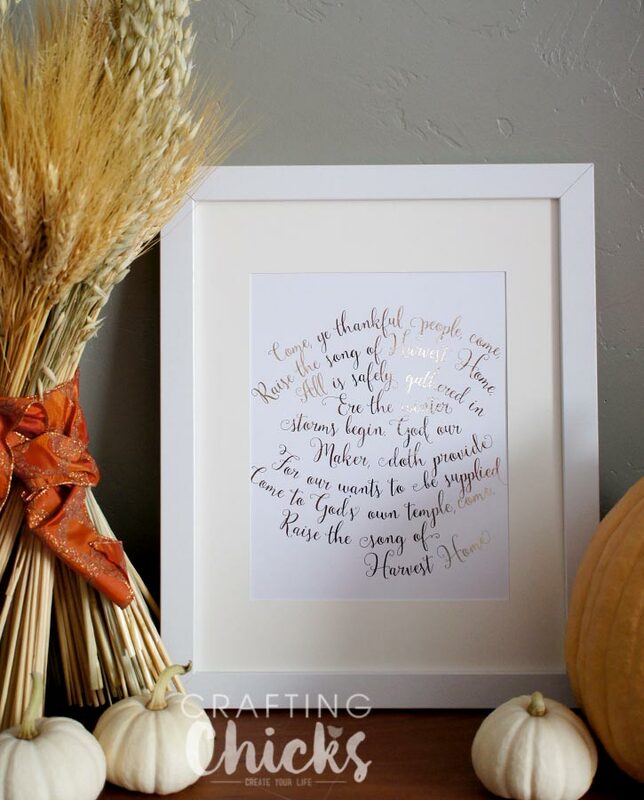 First, head to our shoppe to purchase the Thanksgiving Home Decor Prints. These prints are sized and formatted to be printed as photos. We sent ours to Costco, but you can send them to your favorite photo print shop. We started with this “Give Thanks” print in Navy. Add another print to the side. We liked the look of placing these two side by side. 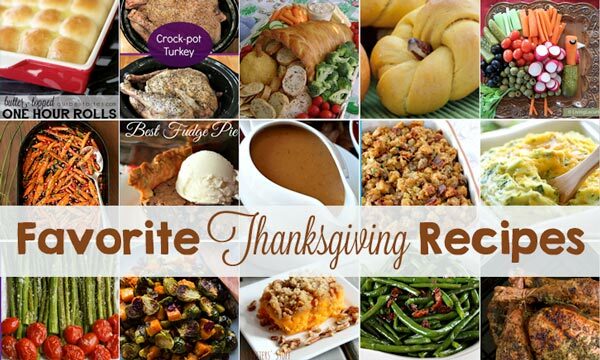 Isn’t that “Thankful” print amazing? Now add in some more color with one of the pumpkins. These prints are square so they will add in some more shape as well as color. Next add in some greenery. We fell in love with this faux eucalyptus. Isn’t it so pretty? Add in a “home” print on an unfinished wood round. To make this unfinished wood round stand out, add a clipboard clip. Finally, add in some colorful ceramic pumpkins. We got these at the Target Dollar spot. Hopefully you can still find some. Jamie has been snagging them at every store she goes into, so good luck. Doesn’t it look so pretty? Honestly, it comes together so quickly with our Thanksgiving Home Decor Prints. Wanna know more about the Chicks? Click here. 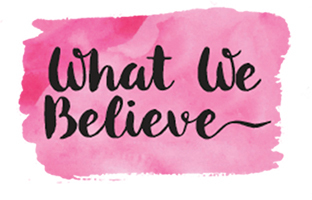 :) If you like this post you can follow The Crafting Chicks on Facebook or Twitter, or you can subscribe to our feed via RSS or EMAIL to receive instant updates.